28.02.2015. Oxford, England. 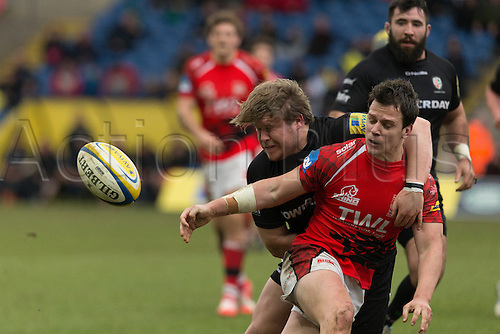 Aviva Premiership. London Welsh versus London Irish. James Lewis gets the ball away as he is tackled by Richard Palframan.